"C:\Program Files (x86)\Microsoft SDKs\Windows\v7.0A\Bin\gacutil.exe" -i "C:\Program Files (x86)\Common Files\microsoft shared\MSEnv\PublicAssemblies\stdole.dll"
Tabs Studio v2.0.0 public is released – comparing to v1.9.5 added a yellow tone to the selected unfocused tab background in VS 2010. Added the Tabs Studio toolbar to VS 2010. Added the “Show tabs in a separate window” option to VS 2010. Changed selected tab colors to match the default VS 2010 theme. Removed the XP quick style option in VS 2010. 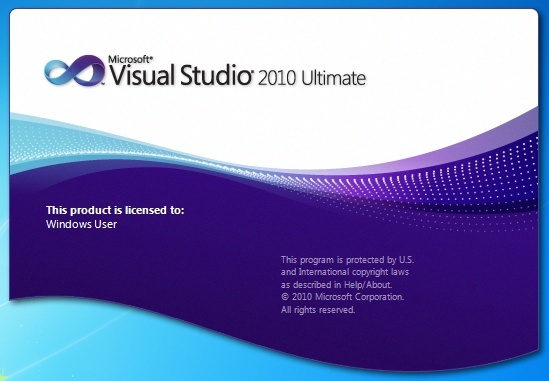 Removed the fixed expiration date for VS 2010. Fixed the rare unhandled exception when creating the Tabs Studio toolbar. I don’t see any changes in default VS tabs behavior comparing to RC. I’ve tested Tabs Studio v1.9.0 with VS Professional, Premium and Ultimate 2010 RTM editions and everything worked just fine.